Contest of Champions: Choose your Champion! 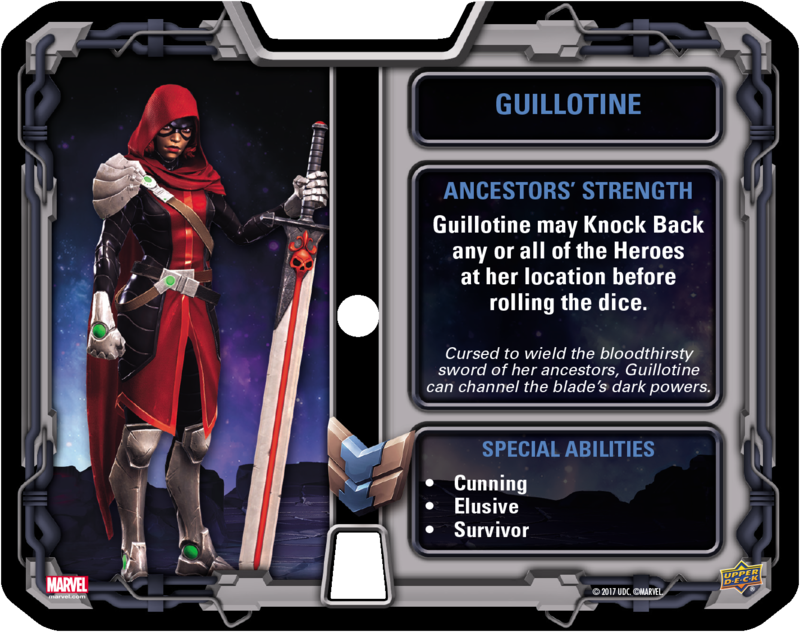 Today’s preview is brought to you by Marvel Contest of Champions: Battlerealm designer, Carmen Bellaire. So you want to know who you can play in our new Marvel Contest of Champions Battlerealm game? It’s an awesome line up of all your favorite Marvel heroes, from skilled hand to hand combatants like Black Panther and Captain America, to blasters like Captain Marvel and Vision, to real powerhouses like Iron Man and the Hulk, and many more. There is a hero for every play style. Maybe you like a to play a hero that excels at the long range game and kiting his opponents around the locations, like Hawkeye, or maybe you want to be mobile like Falcon, it’s all up to the hero you pick. 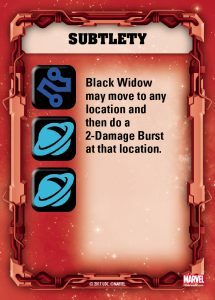 So let’s look at one hero in detail – Black Widow. Graceful Barrage – does four damage to all heroes in one location. Subtlety – may move to a new location, then do two damage. 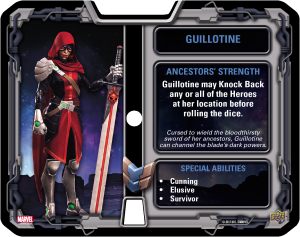 Striking Features – does three damage to a hero and knocks them down for a turn. 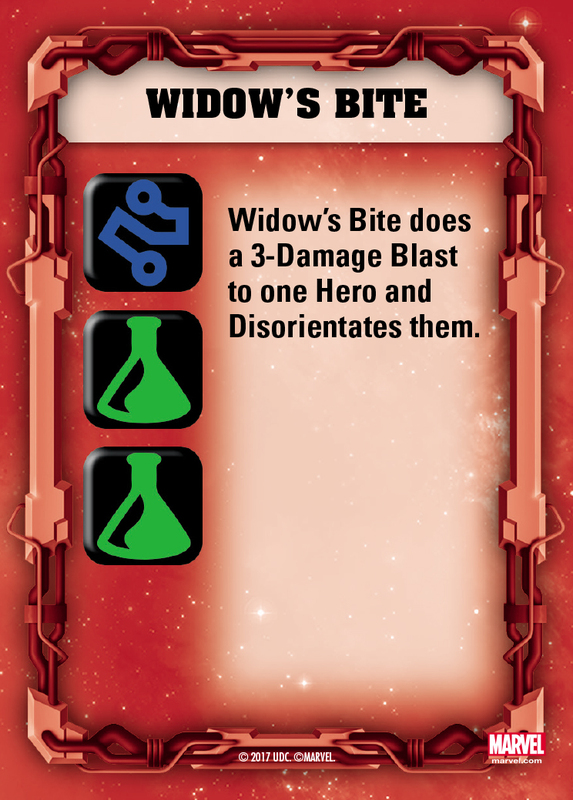 Widow’s Bite – does three damage to a hero and disorientates him for a turn. 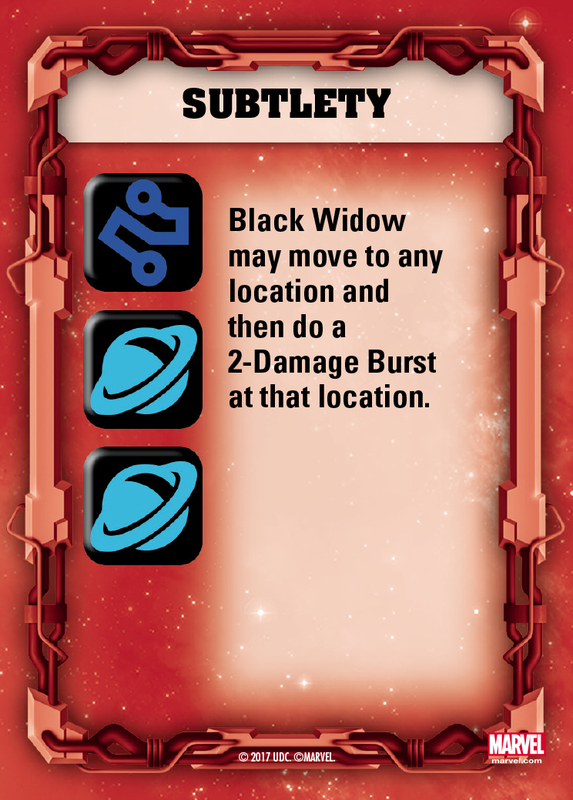 This wide variety of damage types and effects means that the Black Widow can selectively eliminate her enemies and make the most out of her combat dice results. 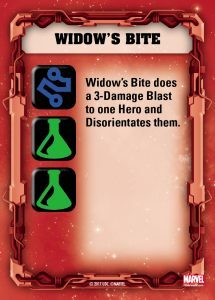 Black Widow is definitely one of the more aggressive characters in the game. Each turn you roll the six special battle dice and see what powers you can unleash on your opponents. You may reroll the battle dice up to three times if necessary during your turn. Each of the battle dice has six sides with six different icons; Skill, Tech, Science, Mystic, Mutant, and Cosmic! So as you can tell when you are rolling and rerolling your dice for the turn, you will be keeping an eye out for those icons which unlock the powers you wish to use that turn. Good luck! You can pre-order Contest of Champions: Battlerealm at your local game store now and will release in Summer 2018!